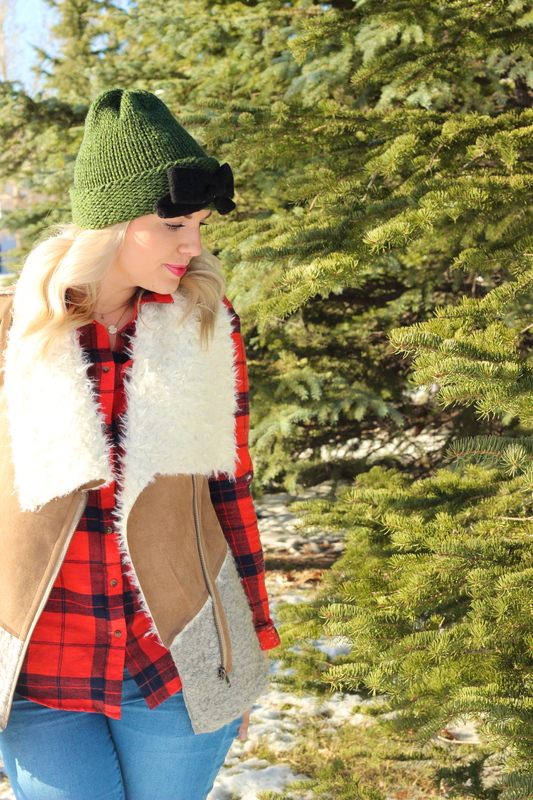 Winter.. - Lovely Blonde Closet "
Happy Wednesday loves!! 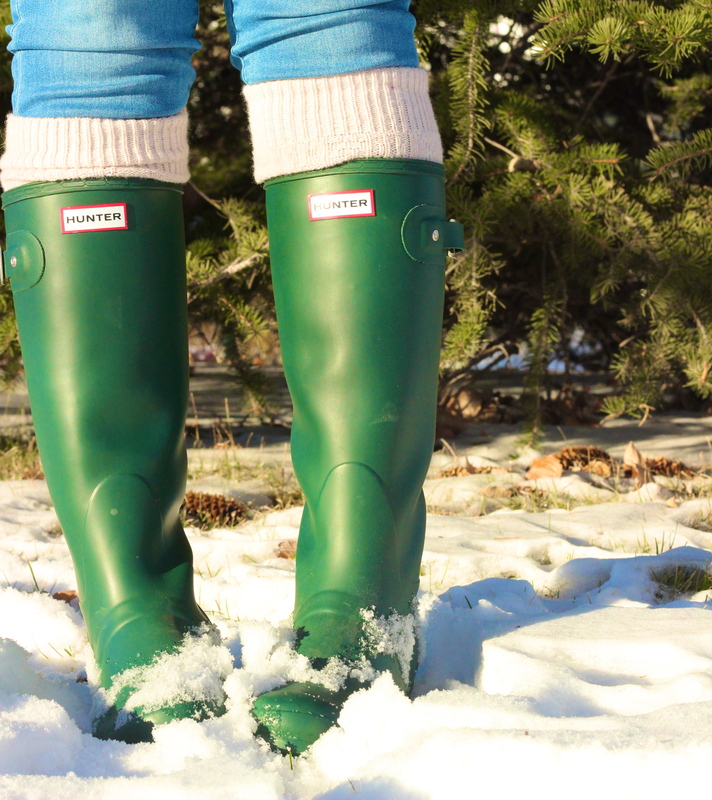 Today’s post pretty much sums up my “winter uniform”. It’s safe to say that winter is here to stay where I live. I have such a love hate relationship with the fact that there is snow on the ground for majority of the year here! It means most of the time I am bundled in a silly amount of layers and some form of boots so that my toes don’t freeze. 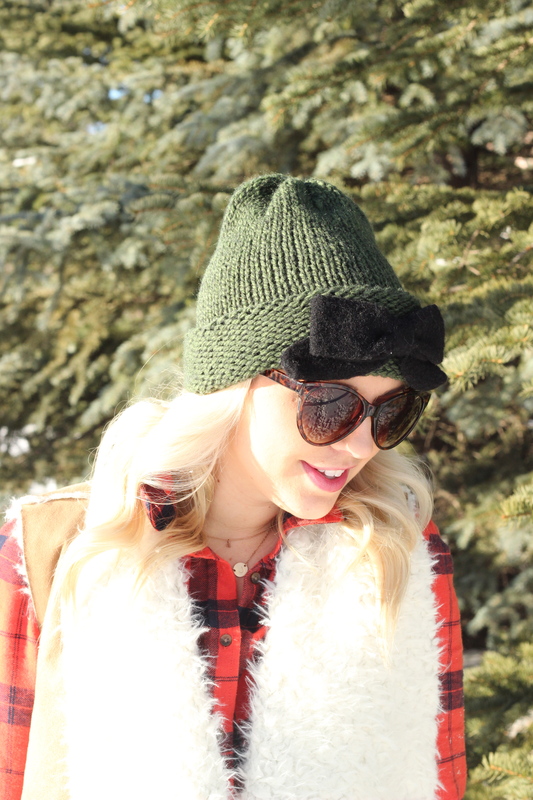 I do have to admit that I love dressing up in plaid, cozy layers and cute toques (like this little bow one from Anthropologie). 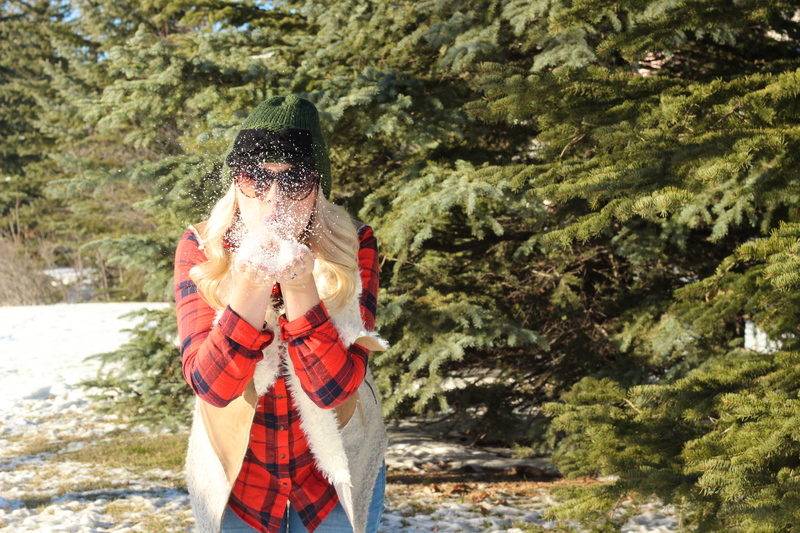 This look will be on repeat throughout the winter months – because I have a plaid collection like no other! Ahh how gorgeous is this entire outfit! 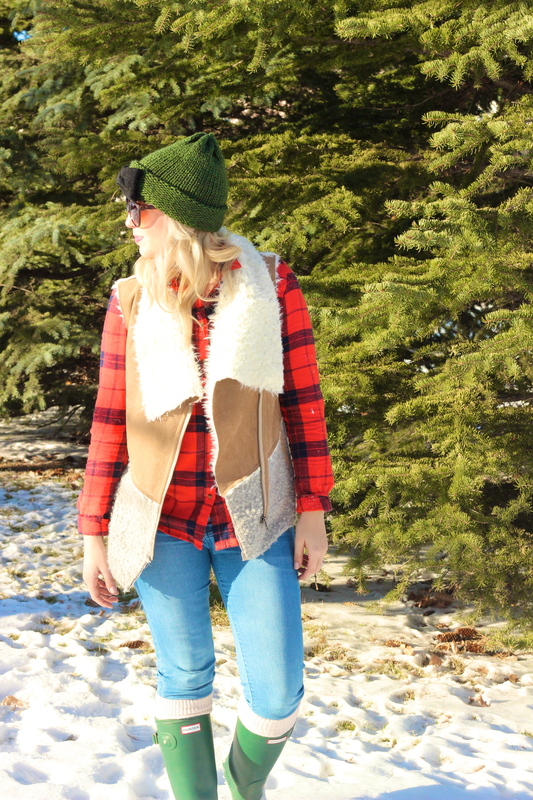 I love the hunter boots, and the adorable vest with the flannel. Your blog is absolutely amazing btw! am now following.